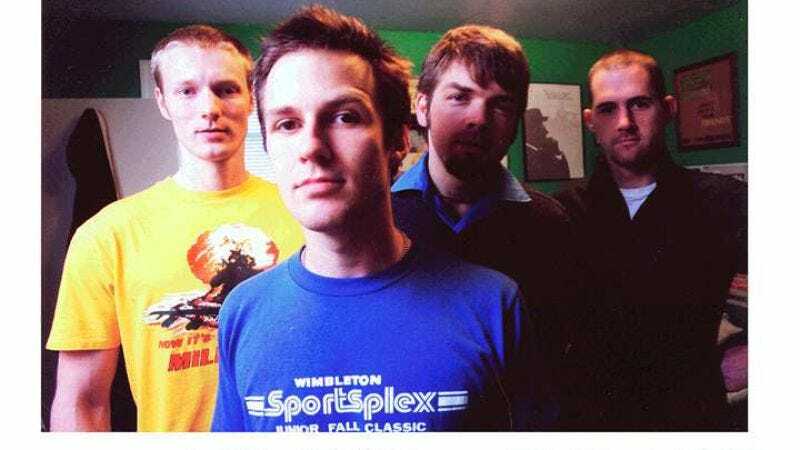 According to a Washington Post blog (written by former Q And Not U singer Chris Richards, no less), The Dismemberment Plan will be reuniting for a handful of East Coast shows in January. The shows will help celebrate Barsuk Records' vinyl issue of the Plan's classic 1999 album Emergency & I, which has heretofore never been available on wax. (That's weird, isn't it?) The article goes on to point out that the vinyl version features a new oral history compiled by Josh Modell of The Onion. That is incorrect: The oral history was compiled by Josh Modell of The A.V. Club. You can read a statement from the band at their website. And you didn't hear it from me, but I wouldn't be surprised if at least a few more shows followed next year. Jan. 21: Black Cat, Washington D.C.
Jan 22: 9:30 Club, Washington D.C.